This is our most popular choice in internet. This is a technology for bringing high-bandwidth information to homes and businesses over ordinary copper telephone lines and fiber optic connections. xDSL refers to different variations of DSL, such as ADSL, HDSL, and RADSL. Each customer has a dedicated line from the central office so other subscriber’s usage does not affect bandwidth. Each customer can experience bandwidth speeds over 1Gigabyte downstream (downloads) and 500 Mbps upload. Data usage is typically unlimited and not metered. Service areas are usually restricted to urban areas and are typically not available to customers who live in remote areas. A common misconception is a customer has to subscribe to a phone line to subscribe. DSL broadband internet is offered as a standalone product and is very competitively priced. This is a type of internet connection that is delivered through the cable TV lines (typically RG-6 and RG-59). 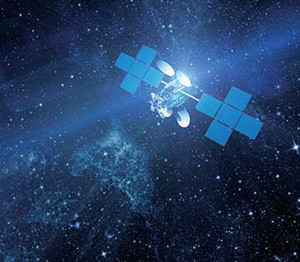 Cable Internet connections works by using TV channel space for data transmission. Several channels are used for downstream transmission and other channels for upstream transmission. Coax cable by cable TV provides much bandwidth; therefore, advantages for cable internet is very fast download and upload speeds. Data usage can be metered for excessive usage and speeds can be throttled if large amounts of downloads are detected. This type of broadband delivers Internet and Voice through wireless radio frequencies or other platforms such as 4G protocols such as LTE or Wimax by cellular Carriers. Other companies offer wireless broadband by installing an antenna on either a home or building that is aimed at a RF transmission tower. This service is limited that your home or business must be in close proximity (usually with 20 miles) of a tower and is limited to line of sight. Bandwidth is usually limited to under 20 Mbps and some companies offer unlimited data plans. An advantage to this technology is service can be provided to rural areas outside of urban areas. Television services are provided from a satellite in space that is in geostationary orbit around earth. Programming is transmitted from an uplink center to the satellite and transmitted back to earth on frequencies in the KA, KU, and C bands. The signals are then received by a satellite dish also known as an antenna. A reflector on the dish receivers the signal and reflects it to the LNB which amplifies the signal and transmits it to the receiver. The signal is digitally encoded and compress with MPEG-2 or MPEG -4 standards.